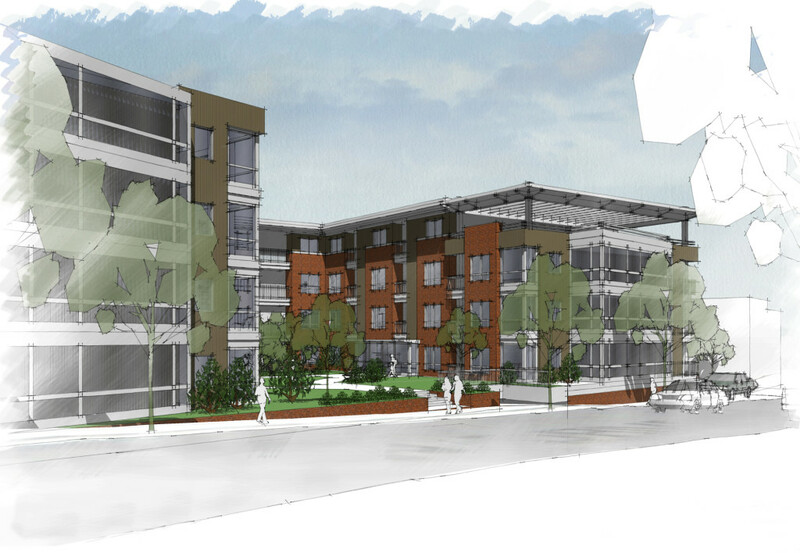 This mixed-use plan envisions a U-shaped housing block providing for mixed income families. The sloping site permits a modest component of retail and restaurant for the residents and their neighbors. A county common parking lot and resident parking is provided on two levels below the building.